Shop faster and pay easy on hundreds of websites! Amazon Pay is the trusted and convenient way to pay across multiple devices. Use the information already stored in your Amazon account to login and pay conveniently on hundreds of websites and apps. Amazon Pay helps you use your already stored Amazon account credentials to complete your transaction across leading merchant websites and apps in a convenient and secure manner. Pay through Amazon Pay Balance, debit or credit cards and net banking..
Use your Amazon account to checkout and pay on websites with your saved card or Amazon Pay balance. No need to dig for your credit or debit card while paying. Your payment information is safely stored with Amazon and accessible on thousands of websites and apps where you love to shop. Shopped on Amazon before? You’re all set. Get started with Amazon Pay today by using your Amazon credentials. If you have an Amazon account already, then you are all set. You will be automatically registered for Amazon Pay the first time you use it. 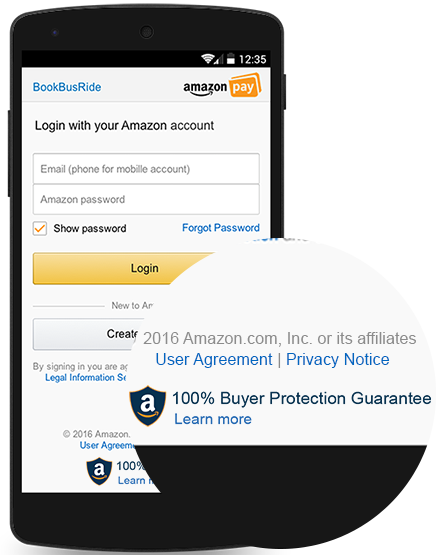 Amazon’s 100% Buyer Protection Guarantee lets you buy with confidence and peace of mind. When you Login with Amazon Pay, you take the protection of Amazon with you. We don’t share your card information, and you are covered by the 100% Buyer Protection plan against defects or delays. 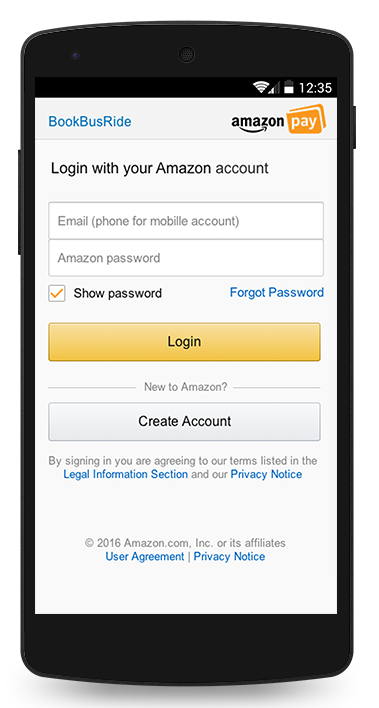 Sign in with your Amazon account credentials to access your Amazon Pay orders.